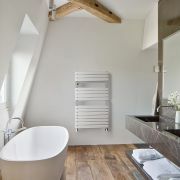 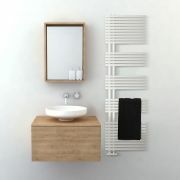 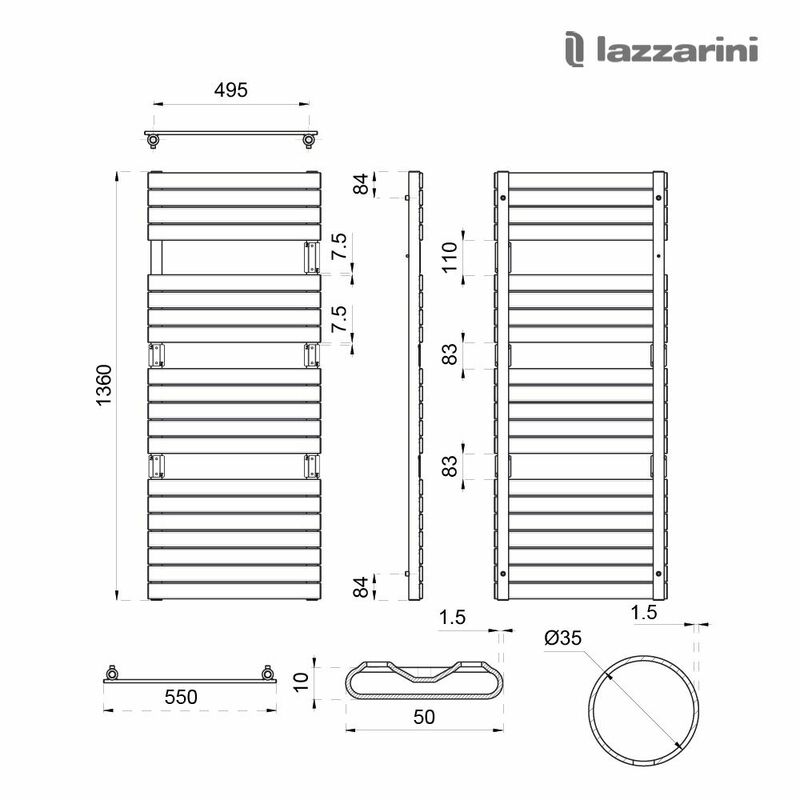 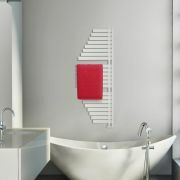 Bring luxury designer style to your bathroom with the Lazzarini Way Torino 1360mm x 550mm heated towel rail. 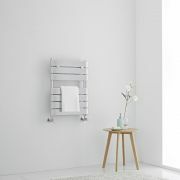 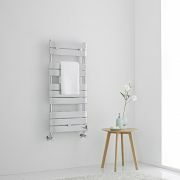 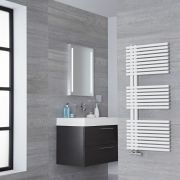 Featuring a hard-wearing matt mineral white finish and clean lines, this heated towel rail has plenty of space to hang your towels to ensure your bathroom remains neat and organised. 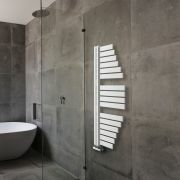 There’s even a handy robe hook for your dressing gown. 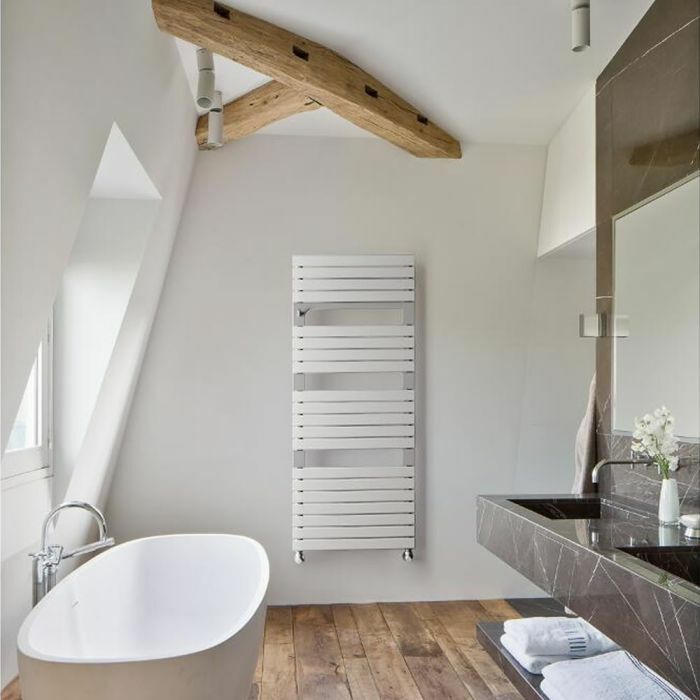 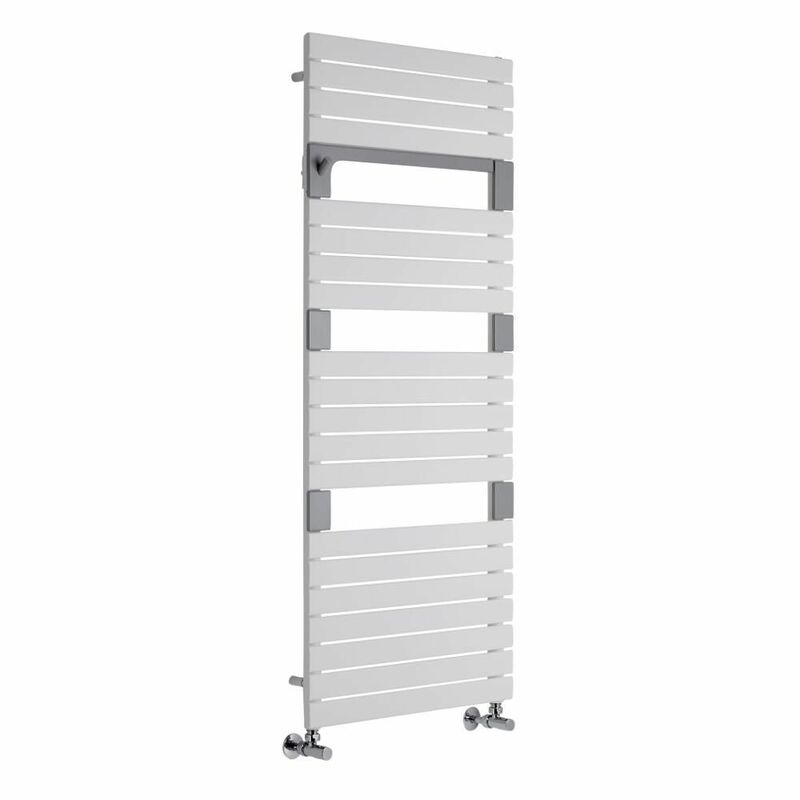 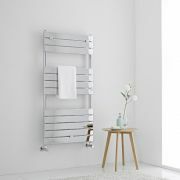 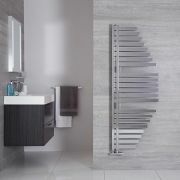 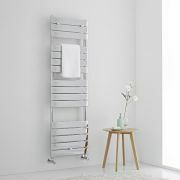 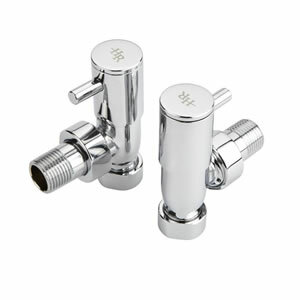 Made from premium quality steel for guaranteed durability, the Torino heated towel rail produces an excellent hourly heat output, which means your towels will feel luxuriously warm in no time whenever your central heating is switched on.